As we start another week it is great to know that the weather will be warming soon, the grass will reappear, and we will all be able to spend more time outside. The downside is that often means less gaming. The upside is that it means more grilling and drinking beer, which is awesome on a warm summer day. I can almost smell some brats sizzling right now. What is Game Design Season? Well, for me it is book-ended by Protospiel-Milwaukee in March and September. But doesn’t game design happen year round? Certainly. I work on game designs throughout the year. But from March to September I am presented with more awesome opportunities like Protospiel and GenCon. It is those opportunities, and the awesome people who attend them, that really make it Game Design Season for me. So Protospiel-Milwaukee is a couple weeks away and I’m in hurry-up mode trying to get a few games/expansions prototyped and playtested. Designer feedback at those types of conventions is some of the most valuable feedback you can get. I’ll be attending Protospiel-Milwaukee and I hope to see you there. Nothing makes it seem more like Spring is right around the corner than enjoying a Maibock! Well, maybe daylight savings or March Madness, but you get the idea. Capital Brewery, in my own city, produces a very enjoyable Maibock. I had my first Maibock of the year while chatting with a Level 1 friend about game design. I was sharing with him my ideas for Brooklyn Bridge. It was an enjoyable conversation with an enjoyable spring beer… as it was snowing. NEW! Dogfish Head Indian Brown Ale: My friends know that I’m not a huge fan of hoppy beers. But they recommended this one to me because it wasn’t too hoppy. I agreed and I quite enjoyed this beer, from a company known for being hop-forward. So beautiful. I wish I had a poster of this box cover! 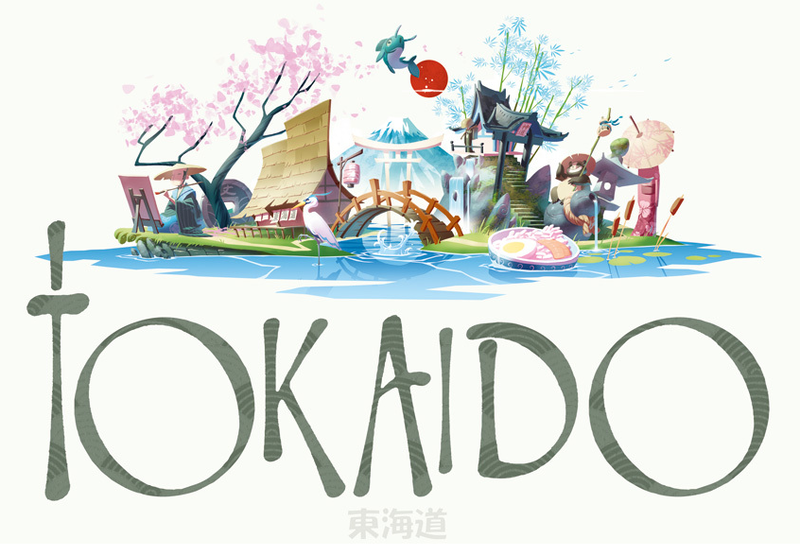 I finally had the chance to play Tokaido. While the game isn’t the best game I’ve ever played, I would say that it definitely was enjoyable. The idea of taking a journey through the mountains and trying to maximize your points while others are taking the spots you wanted seems to work really well. The game is simple enough yet presents interesting enough decisions. But the real “selling point” for me is the artwork. Everything about the game looks good. It has a very clean look with well defined artwork. The cards are beautiful, the money looks great, the board looks nice and the box cover blows me away. I’d play it again just to see all the amazing art one more time. Backyard Astronaut: This is not a published game… yet. It is a friend’s design that is awesome and enjoyable. It is a tile based game where you are building a rocket from scraps found in a junkyard. Community scoring conditions guide your decisions in this 2-5 player game. I am looking forward to playing it again at Protospiel-Milwaukee! I currently have two active projects that I am trying to get ready for Protospiel-Milwaukee. One of them is the oft-mentioned Brooklyn Bridge and the other is a possible expansion for a different game with which I am associated. I won’t say anything about the latter, but the former is coming along nicely. I almost have a prototype completed and I think I should be able to get in Playtest #1 this week! Hopefully it will work and not seem totally broken. So if you are going to Protospiel-Milwaukee you’ll be one of the first to see/play either of those projects! I hope you can join me there. So those are the Boards & Barley that I enjoyed last week. What did you enjoy? Play or drink anything new that was really awesome? Posted on March 10, 2014, in Monday Brews, The Barley, The Boards and tagged beer, board games, Capital Brewery, games, Maibock, Monday Brews, Protospiel-Milwaukee. Bookmark the permalink. Leave a comment.